Debut published by Norwegian Gloria Forlag! Maria has started looking back. She studies the choices she made, wondering about small and big events in her life and their consequences. Especially when it comes to love, Maria ponders and reflects around why she chose and acted as she did. Her beloved one, that was never only hers, the replacement she took instead of him, and the student she finally settled with, who became the father of her child. Maria discovers how events in her life are connected. She sees how the footprint of her strict grandmother and well meaning mother has influenced her, and the reader gets a small insight of the dramatic life both Marias mother and grandmother had as a result of a mystical grandfather described as a charlatan. We follow Maria through her not so streamlined maneuvers and choices, always sensing the presence of her beloved one, Marias grandmother; the mothers sometimes demanding softness and Marias daughter Rakel. With wit, humor, sharp observations, warmth and honesty, Mari Ann Augestad gives the reader a taste of a universe somewhere between Sally Rooney and Elena Ferrante, set in Norway. So elegant and delightfully written about three women who loves and hates men, and loves and hates each other! Finely tuned, with vulnerability, and a great atmosphere. Great stuff!! Well written, catchy, touching. I think many readers will recognize family members in these descriptions (...) Hits a nerve! (...) How can Mari Ann Augestad's Three Women be compared to Anna Gavalda and her books? To me because of the direct and naked language, the credible feelings described without excessive patos and the openness Augestad has given to her main character. I can cite directly what I wrote about Gavaldas book Someone I loved - feeling the same the same about Three Women: "It's a beautiful story of love, honesty and loss, showing clearly human doubts and weaknesses when it comes to big choices in life. " This is also what Augestad expresses in her book Three Women. 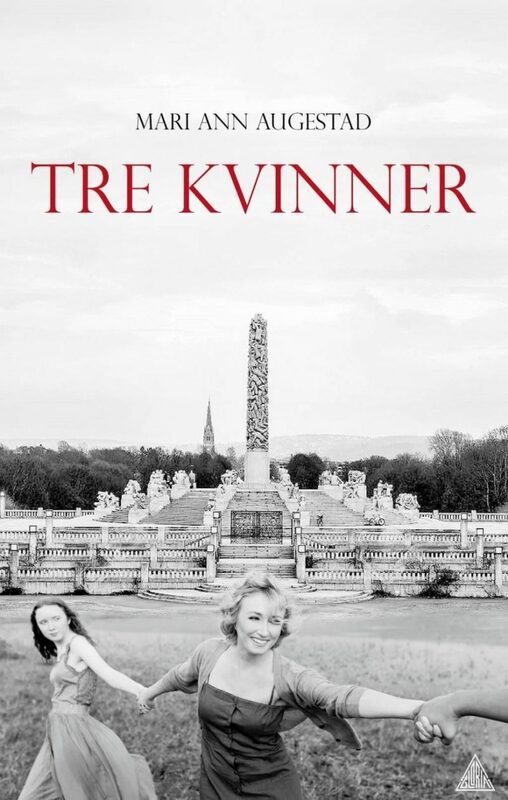 I simply loved the language, the frequent stage shifts and the evolution of the story - and will definitely read Augestad again if she decides to publish a new title. This really gave me a taste for more. A debutant we're going to hear more from! Augestad writes well and keeps me trapped in this story all the way. This is a great book! The story is sad, intense and recognizable. The well-studied and stylish study of an uncompromising but, after all, quite ordinary life.